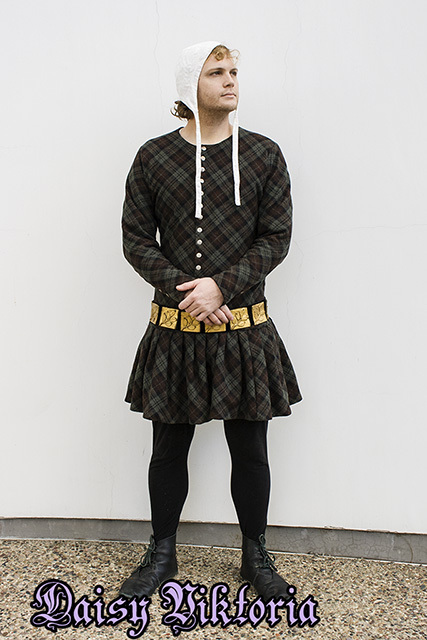 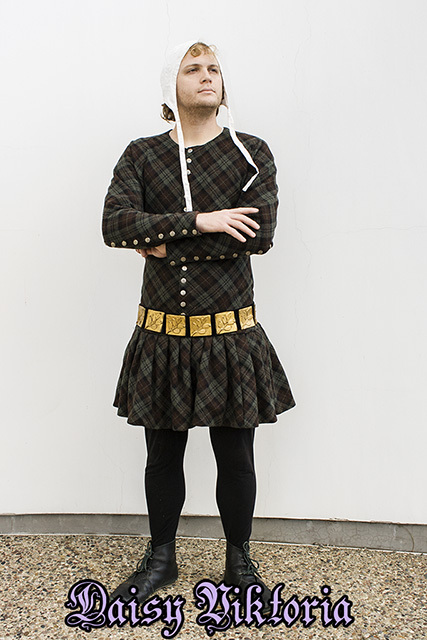 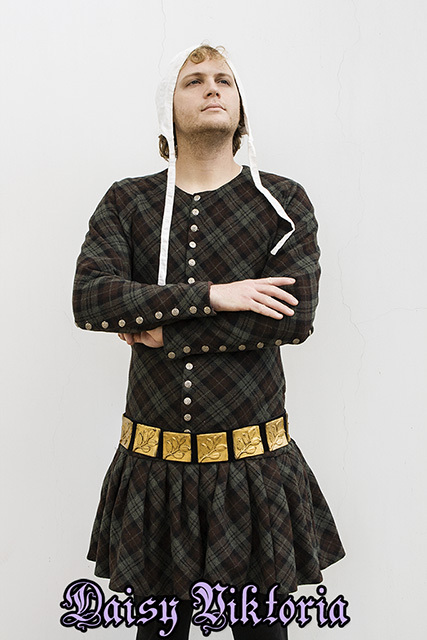 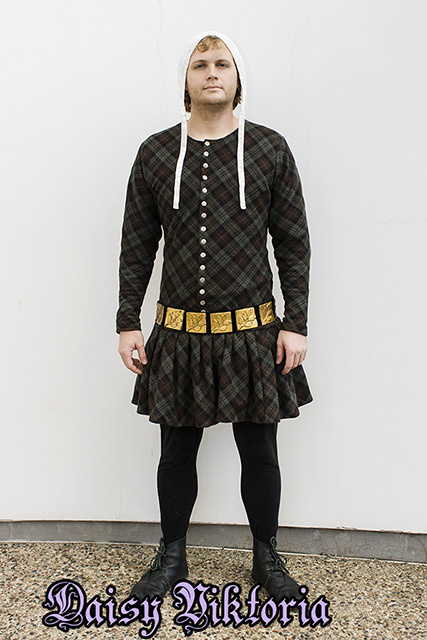 This is a late 14th century style plaid cotehardie with a frounced, or pleated / gathered, skirt. 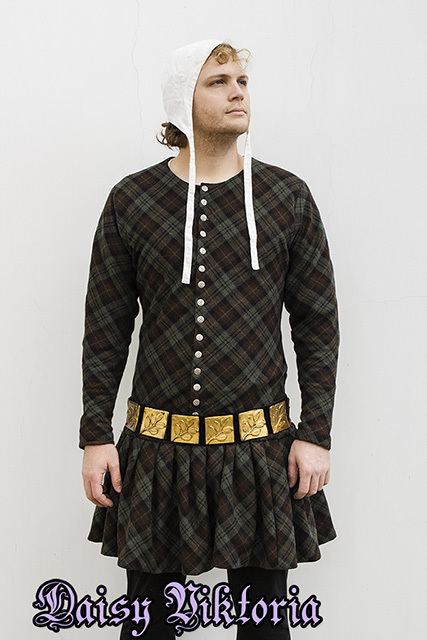 The cote buttons up the front and halfway up the sleeves. 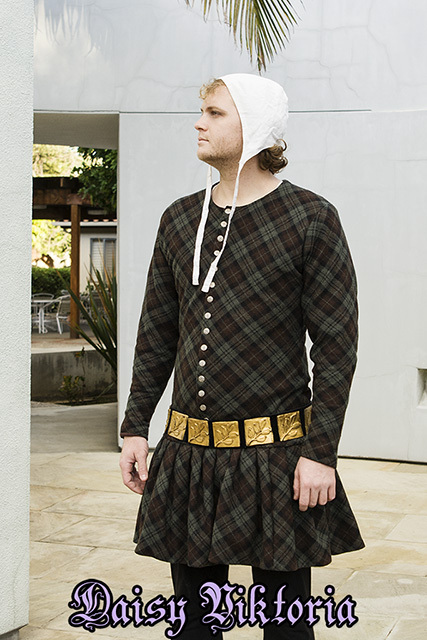 I also made the linen coif and the placket belt.